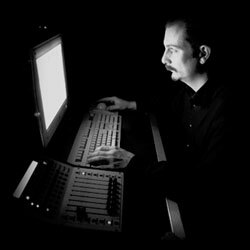 Frank D. Fagnano has been a freelance engineer and producer in the New York metropolitan area since 1983 and has earned Platinum Album credits. In August 1989 he established Integration Digital Music Services, a company which specialized in mobile direct-to-disk digital audio recording using Digidesign's Protools. He was Chief Engineer at Marion Recording from 1985 until 2002, where he was principle designer in upgrades and reconstructions in May 1989, July 1992, & Nov. 2000, while continuing to freelance. Frank was Adjunct Professor of Electronic Music at William Paterson University of New Jersey from May 1987 to May 1998, actively involved in the development of curriculum; primary consultant to the design, maintenance, and upgrade of WPU's previous Electronic Music Labs, and consultant to the most recent multi-media Center for Electro-Acoustic Music. He currently teaches Sound Engineering Arts in WPU's newly constructed recording facility. Frank co-founded Repeat After Me, an experimental mixed media electro-acoustic performance group. He is a drummer, percussionist, synthesist and composer, and has performed in nearly every variety of musical settings from jazz to avant-garde, from ambient to contemporary classical, from pop and rock to R&B and hip hop, and for theater and dance as well. Click this link for info about his new performance project, The Frank Fagnano Group. Contact Frank for a quote on production and engineering services.